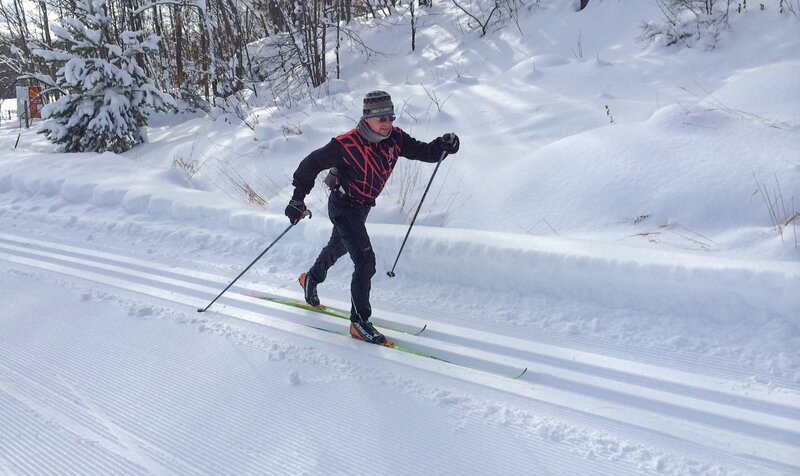 Our facilities include a heated warming cabin (open 9- dark) with light concessions, and a full service ski shop, change rooms, indoor restrooms, and a large heated wax area with many wax benches. There is additional room in the race barn/wax room for tables and chairs available for teams or groups to use. NEW for this year is Hi-speed Internet WIFI in the warming cabin from 9-6 daily. Lessons: We have a group of instructors that ski here and teach Lessons. Some are PSIA certified. They charge $25 for 1 hour. Group lessons are also available. Rates: 2 people -$35, 3-$45, 4 – $55. Large group lessons available. It is best to call ahead to schedule lessons 906-932-3502 for their contact info. Lessons are scheduled directly with instructors, we can provide contact info. Instructors are not teaching as ABR instructors, they are independent. You schedule with them and pay them directly. We collect trail passes at the front desk. Wax services: We have 3 different wax services available from $8 to $35. Skis can be waxed while you wait (time permitting) or can be left overnight. Binding mounting services available. 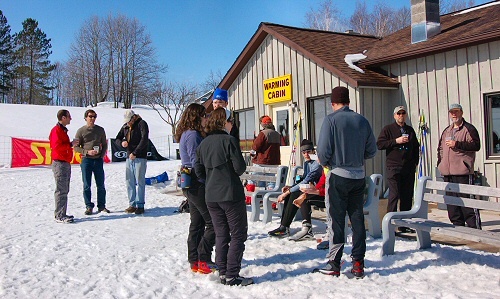 Sauna/Showers: Sauna is available for ABR skiers; rent a private electric sauna with hot shower in the wax room. Available for $6/person/$12 minimum, shower only (in the wax building) is $6. Towels are provided. The wood fired sauna is reserved for ABR Rustic Cabin/skier folk, if we have an open slot in the schedule you can check when you buy your ski pass. We have a complete ski shop with the latest equipment and supplies. See more details.